We have personnel who are trained and equipped to handle any urgent care your pet has. Usually an emergency team consists of at least one veterinarian and several technicians working together to save a pet's life. Emergencies can be things such as snail bait poisoning, hit by car, and chocolate ingestion. If you ever feel that your pet needs emergency treatment do not hesitate to call or come in immediately. If possible it is best to call before coming in so that a team member can advise you on your particular emergency. We are also available for urgent care when the condition is not life-threatening. If you feel your pet needs to be seen before you are able to get an appointment, our veterinarians will work to "squeeze" you in between scheduled appointments. When you arrive, our receptionists will be able to give you an estimate on how long you may have to wait in order to be seen. 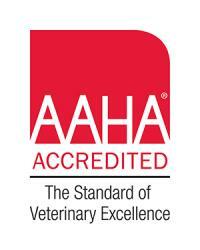 After-hours emergencies are seen by Veterinary Healthcare Associates, 3025 Dundee Road, Winter Haven, FL, 33884. We utilize state-of-the-art equipment and anesthesia practices that minimize the risk of surgery for your pets. Our top priority is their safety and comfort during any procedure at our hospital. We strongly believe that an ounce of prevention is worth a pound of cure, especially with pets who age much faster than humans. As such, you will find our staff focus on preventative care options. Every patient is evaluated and a treatment plan discussed. If needed or desired, referrals to a specialist can be made. Bellalago Veterinary Hospital offers discounted services to all active duty military members, teachers, firemen and policemen. To receive discount you must provide proper ID.